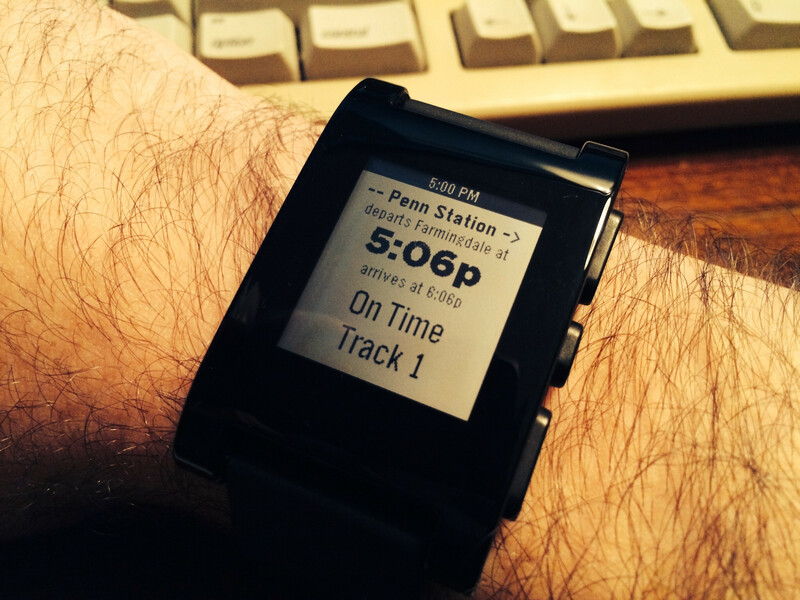 PebbLIRR is an app for the Pebble smartwatch that displays train information for Long Island Rail Road customers. Through geolocation, it automatically discovers the closest station, and shows the next departure to your chosen destination. Availability: Currently in private beta.